Audrey Matusz is a 21 year old liberal arts student who turned her parent’s basement into a makeshift studio. Her recent passion for photography coincides with the birth of her latest project, Beyond Recognition. The title nods to the artist’s humility surrounding the project as well as signifying a major step in her personal growth. Utilizing lights, props and her unhealthy relationship with tarot cards Beyond Recognition tells the story of a girl’s first existential battle. She believes pink is a misunderstood color that society writes off as passive and predictable. 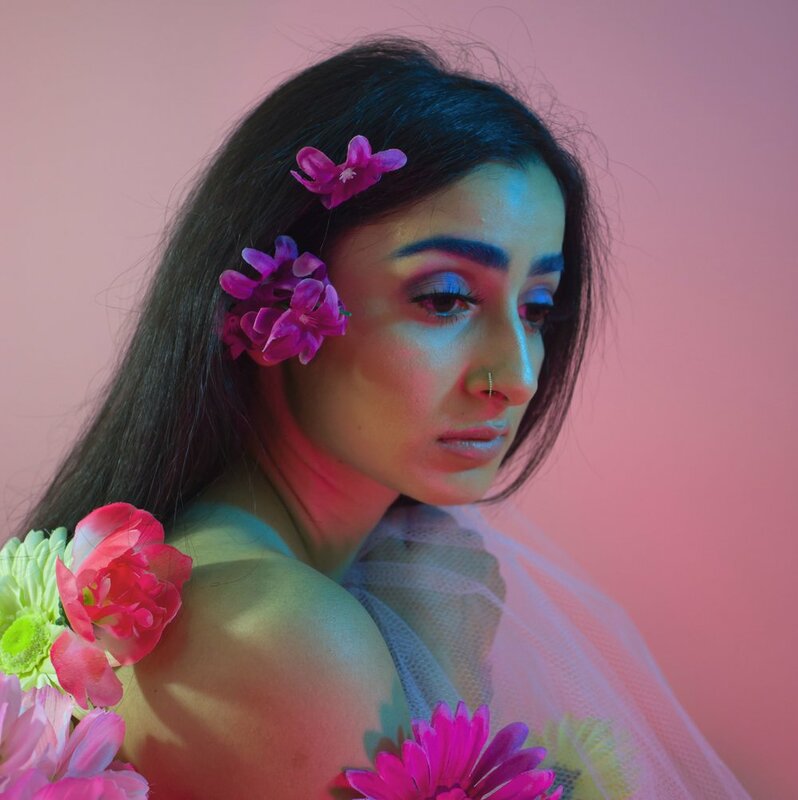 With a fascination for the “deeper shades” of pink, Audrey realized this trope spoke to her journey through isolation and feeling disconnected from her own body. The women in this series represent different stages of self-discovery. Some stages are darker than others, but a glimmer of hope about the future is always present. Audrey is currently studying liberal arts and manages the student radio station (Impact 88.9 FM) at Michigan State University.